Come fiddle with Gabriel! Gabriel’s workshops are fun, and open to all levels of string players on fiddle viola and cello. Together we will experiment and explore melody, harmony and groove! We will learn a fiddle tune, and work on rhythmic accompaniment in a fiddle context, using techniques such as the infamous ‘chop’! Any level of musician can learn to play in a group and add to the overall sound. Gabriel is a unique breed of fiddler. He ties together different styles, from Scottish, Canadian fiddle styles to jazz and classical. 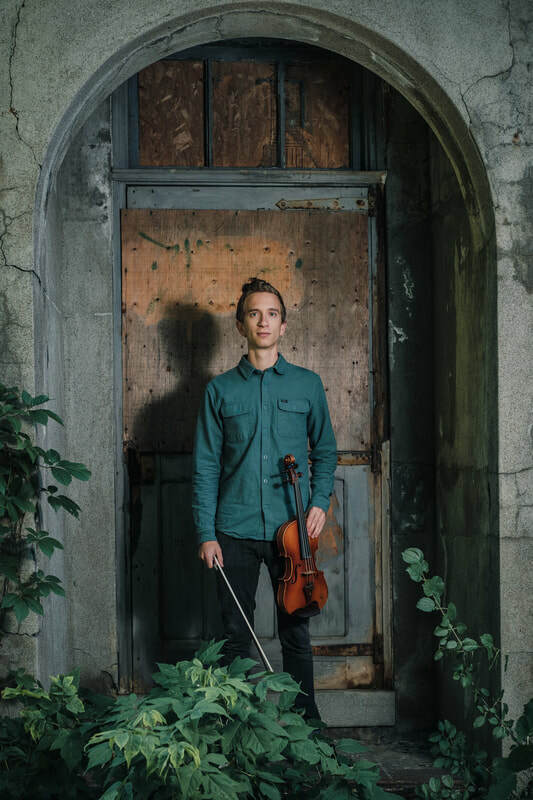 Now based in Vancouver BC, he leads the Celtic band Early Spirit, directs the Gibsons based “Bad to the Bow” youth fiddle group and is a highly sought-after teacher and session violinist. Gabriel is a graduate of the prestigious Berklee College of Music in Boston, MA. Gabriel has lent his talents to artists such as the X-Ambassaors, Bruce Molsky, Darol Anger, Karthik Maestrokes, Matt Glaser, and many more. His most recent album (Early Spirit’s ‘UnRelated’), features Natalie MacMaster, Michelle Campagne, Leonard Podolak, and Geoffrey Kelly.